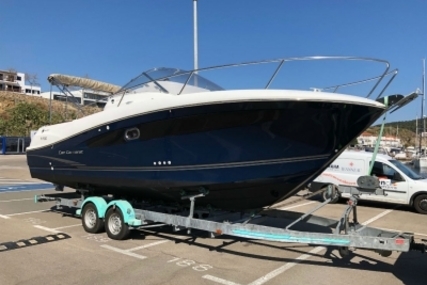 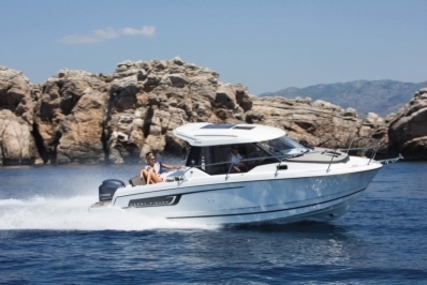 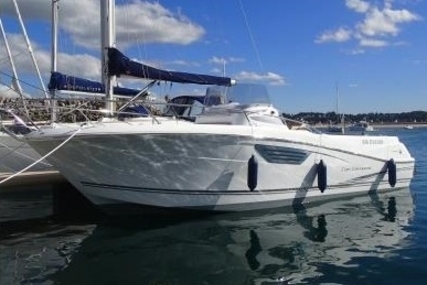 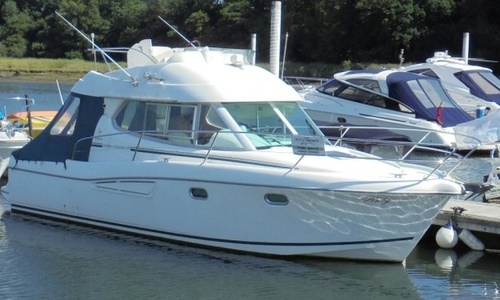 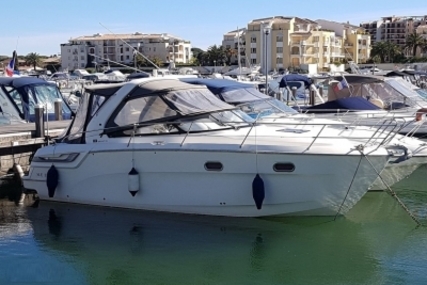 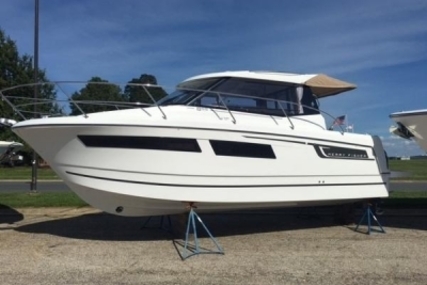 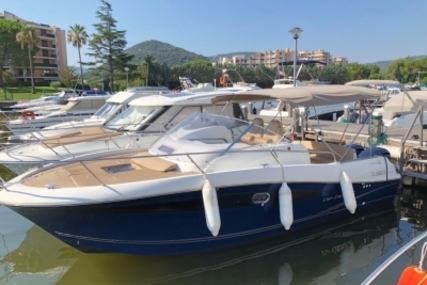 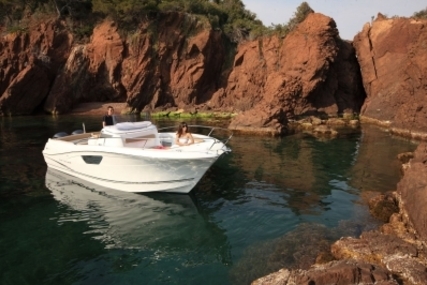 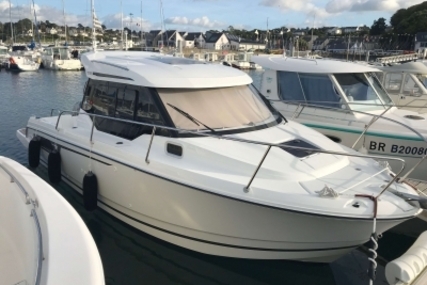 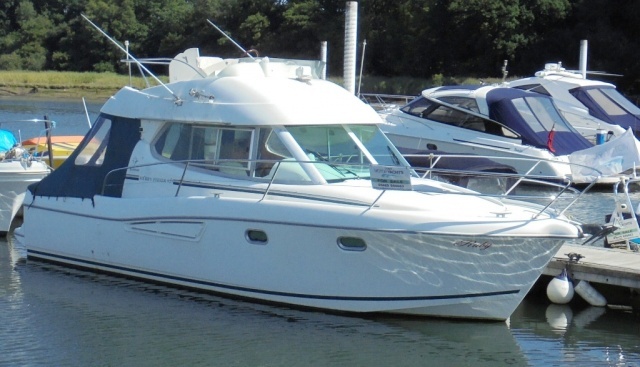 It would be hard not to enjoy yourself aboard this spacious Jeanneau Merry Fisher 925 that offers a spacious saloon and cockpit and sleeping for 5 people on board with a well-equipped galley. 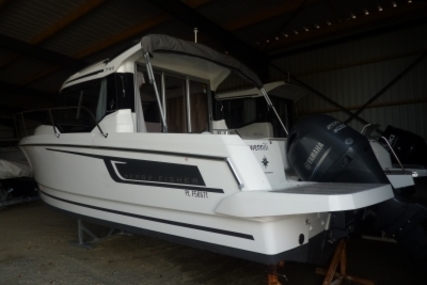 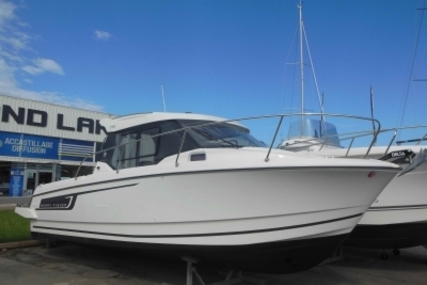 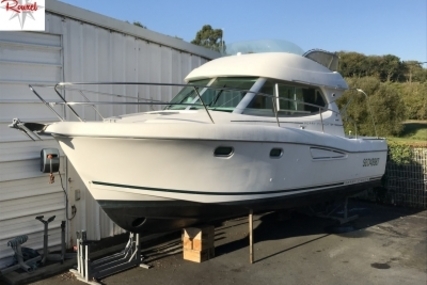 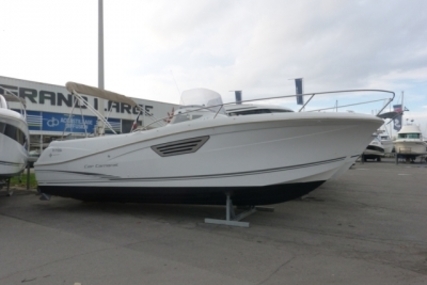 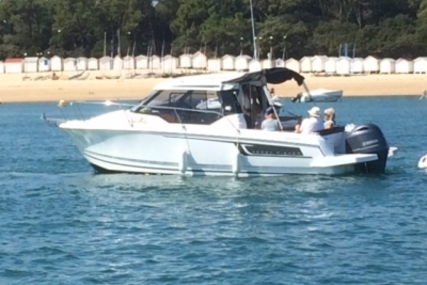 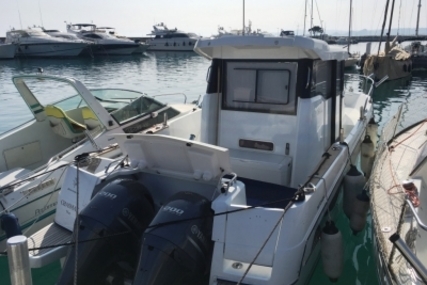 This Merry Fisher 925 has a single Volvo KAD 300 diesel with a bow thruster, heating 2500w invertor, Raymarine GPS plotter, autopilot and more. 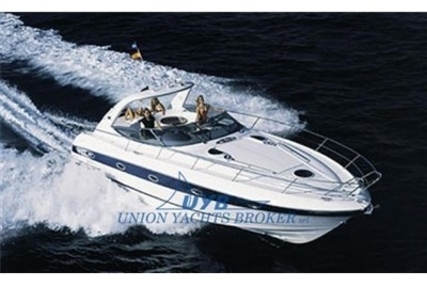 The accommodation offers five berths in 2 cabins plus saloon. 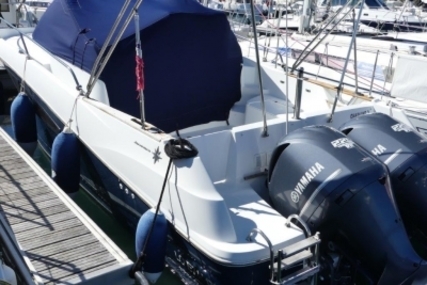 In the fore cabin, a double berth is offset to port with a seat and hanging locker to port and 2 hanging lockers. 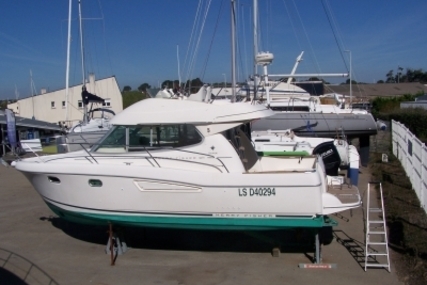 Single cabin to starboard with storage shelf above. 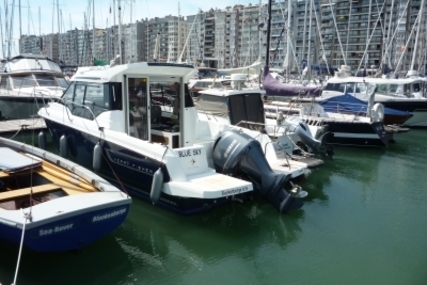 Heads compartment to port with vanity unit, hot and cold water with pull out shower attachment, manual sea toilet with holding tank. 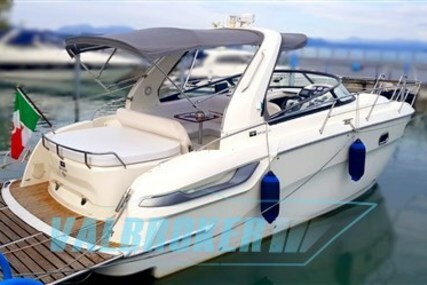 Steps up to the main saloon with helm position to starboard with single lever control and full engine and navigation instrumentation. 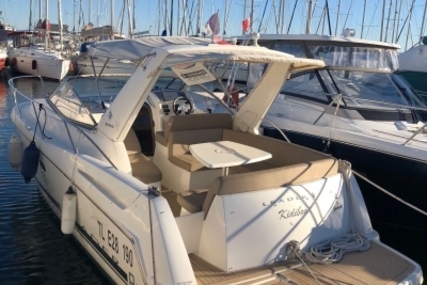 U-shaped dinette to port with a table that drops to form a double berth as and when required and one seat converting to a forward facing co-pilots position with chart table. 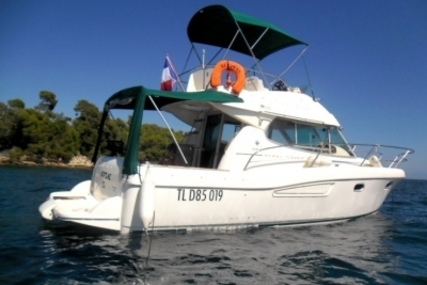 The Galley aft of the helm to starboard has a sink with hot and cold water, a two burner gas hob, refrigerator and microwave. 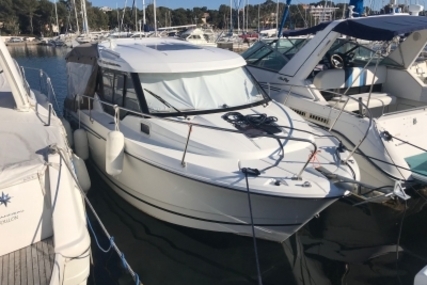 The galley worktops have storage and cupboards underneath. 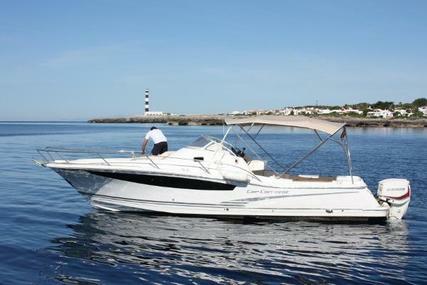 The vessel benefits from Eberspacher diesel cabin heating with the 7 day programmable timer. 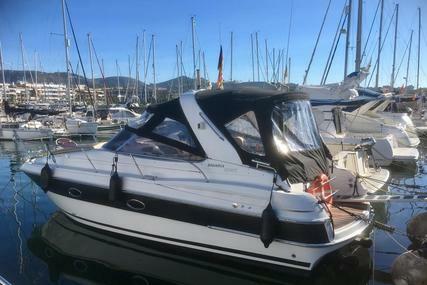 Full interior lighting. 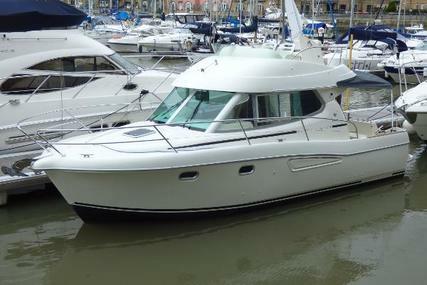 Sliding glass door to the large self-draining cockpit. 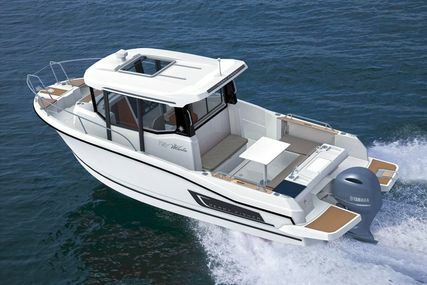 There are steps up to flybridge with helm position with controls and seating.